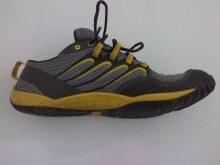 I decided to buy them in the combination of Smoke/Adventure Yellow specifically so that they would be conservative enough that I could wear them in any casual setting. Luckily for me, I work in a casual environment. 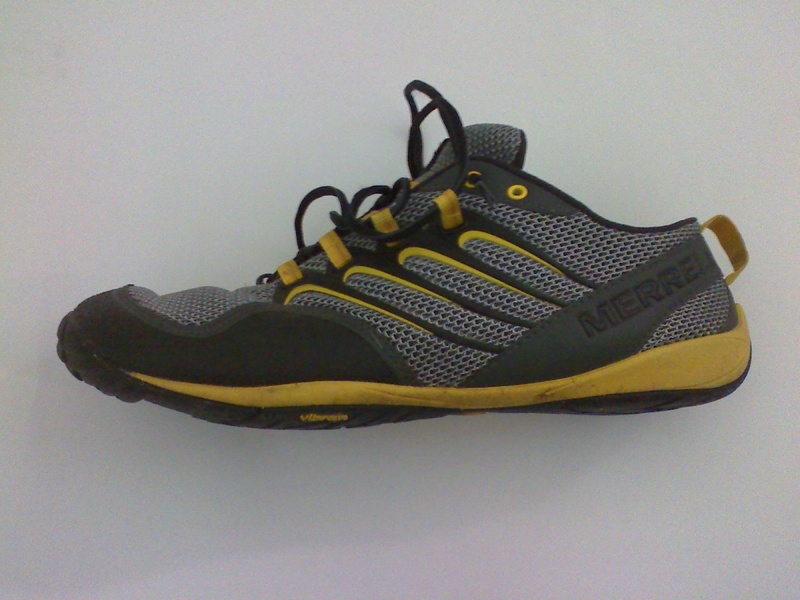 Merrell makes shoes that are designed to be rugged and they generally look pretty rugged, as if you would see them out on the hiking trail more so than in the local shopping mall. 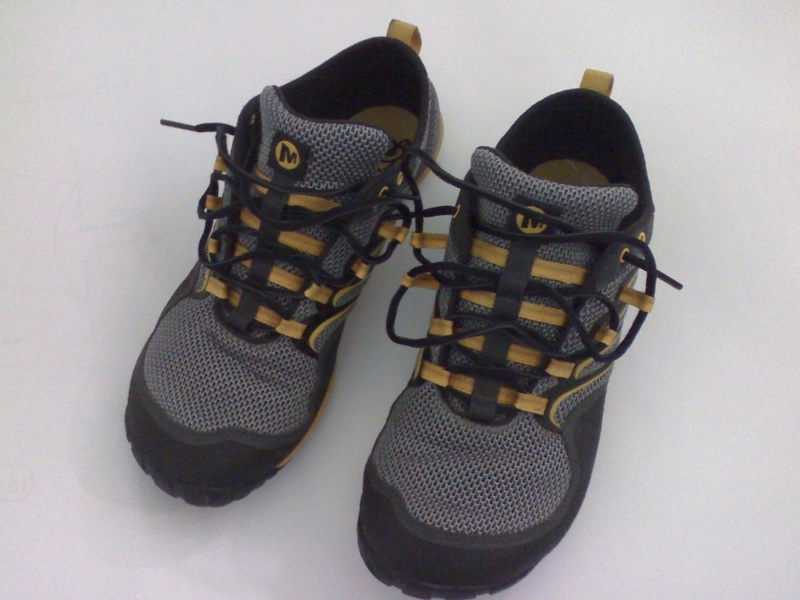 The trail gloves follow suit, they exude a certain ruggedness that other minimal shoes dont seem to. The VFF's never look very tough and with exception to the Inov-8's that look like they could climb a mountain when nobody even has them on, the Merrells are about the toughest looking choice I have personally come across. I have no problem wearing them with jeans or with shorts, and they have been perfectly appropriate for any casual setting I have come across. If you need a more formal version of the shoe, Merrell has you covered with the Tough Glove built off of the exact same sole. The fit of the shoe is very comfortable right out of the box but certainly improves with time. Other reviews have stated that the shoe didn't start to shine until after about 100 miles of running. I'm going say that I have hit the point of similar wear after a few months of daily wear and I can certainly feel them becoming more comfortable as they break down a little bit and loosen up. They feel a bit more minimal as they wear which is a very good thing in my opinion. As far as the feel of the foot in the shoe, it is a very snug fit from heel to midfoot and then opens up to a nice roomy toe box. The toe box is plenty wide when worn barefoot, but I have experienced a bit of extra snugness depending on sock thickness. It's not exactly uncomfortable but it is noticeably more constrictive. I will attest some of this to the fact that my foot is still in a transition phase and is widening with my increase in distance and duration running in huaraches which have no restrictions. 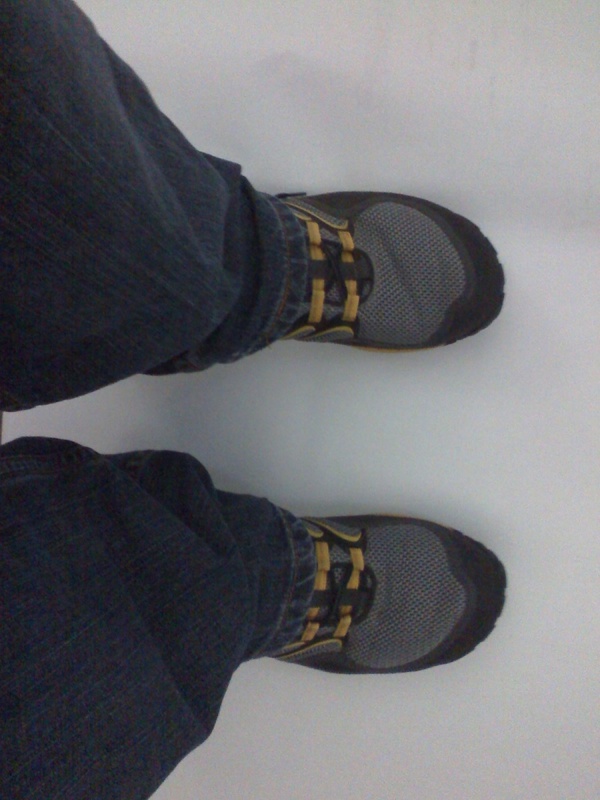 The toe box should be plenty roomy for anyone with an average foot and I find it quite fun to be able to splay my toes out and wiggle them while my foot is in a shoe. This is usually where we talk about how the shoe performs while running, and as I mentioned above based on my 10 short miles in them they are great running shoes. The aspect of the shoe that has really surprised me is how comfortable they are for long days of standing, running errands, and playing with the kids (which ALWAYS involves running). I stand 8 hours a day at work (by choice at a raised desk) and my feet never feel fatigued after a day of wearing the Trail Gloves. Again, they get more comfortable with wear and I'm looking forward to many years with them. The Merrell Trail Glove has quickly won the #1 spot in my daily rotation of shoe wear. I use them for everything I do except what they were designed for, running. There are numerous stunning reviews of the Trail Glove as a running shoe and some of those reviews helped to push me toward the shoe. I don't want anyone reading this to think that I am trashing them for being a poor running shoe. 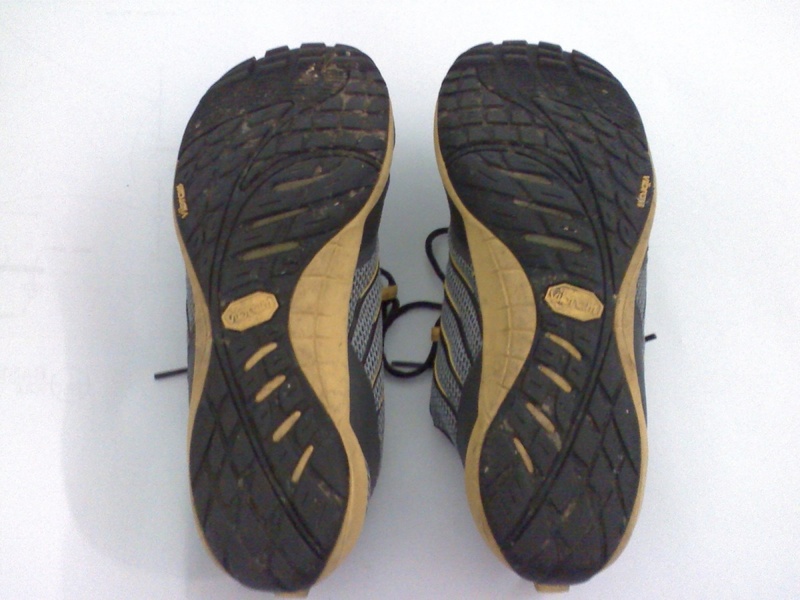 I personally enjoyed running in them and bought them with every intent to run in them. I even ran in them within 20 minutes of getting them in the mail. I just prefer to use them as a great zero drop minimal daily wear shoe and to run in my huaraches.